A recent letter by one of the regular contributors to the Journal of Near-Death Studies (JNDS) was little more than a tirade against the purported nonsense published by the author of this website on the matter of near-death experiences (NDEs) (see R. Smit, (2013), “When Ideology Overrules Science”, Journal of Near-Death Studies, 32: 47-51). As the author of these writings whose content is contested by R. Smit and others, I am always glad to hear criticism, because it provides feedback aiding fruitful investigation. In fact, I am indebted to R.H. Smit, Kris Key, Dan Salmon, the ever-anonymous “Tim”, Thomas Allen, Trader F, Theresa, and others for their unrelenting criticism, as well as their clearly evident lack of any understanding of physiology and medicine in general. Agreement with my ideas does not encourage development—unrelenting criticism certainly provides impetus to examine the evidence and facts again and again, as well as developing ways to make physiological and medical explanations more accessable to a general public. So while I am glad to have been subjected to the sometimes savage criticism of these persons, this fault-filled tirade in combination with other articles published by the JNDS, raises serious questions regarding the scientific claims made by this journal. This is more so, since I notice the JNDS is neither listed in PubMed, nor the Highwire scientific journal listings. The JNDS is supposedly a “peer-reviewed” international scientific journal. Yet this peer-review fails in two important aspects. Articles are published containing references to other articles bearing absolutely no relation to the subject matter discussed. A very good example was the article: Lommel P van, (2011), Setting the Record Straight: Correcting Two Recent Cases of Materialist Misrepresentation of My Research and Conclusions. Journal of Near-Death Studies, 30: 107-119. This letter, and others written by Rudolf Smit (for example see: R. Smit, (2012), “Failed Test of the Possibility that Pam Reynolds Heard Normally During Her NDE”, Journal of Near-Death Studies, 30: 188-192), , contains so many faults on really very basic matters, that it raises the question about the quality of the peer-review process, or whether those performing the peer-review are in any way qualified make an informed judgment on these matters. I give these as examples of the failure of expertise in the peer-review process claimed by this journal, but I am sure there are others that have escaped my attention. Expert peer-review and screening are so fundamental to the quality of a journal purporting to provide a platform for scientific investigation, that such evident failure can only damage the image of the JNDS. On the other hand, if the JNDS does not claim expert impartial examination of submitted articles, then it should not make claims regarding peer-review and claims regarding scientific accuracy. So in what aspects does this letter by R. Smit contain so many faults, that it qualifies for rejection by an expert peer-review process in an impartial scientific journal? Next, in the first of two Letters to the Editor, Rudolf H. Smit comments on his and others’ written debates with anesthesiologist Gerald Woerlee regarding evidence from cases involving apparently nonphysical veridical perception. In these cases, near-death experiencers perceive phenomena in the material world that, based on the conditions and positions of their physical bodies, they seemingly should not be able to perceive and yet that are subsequently confirmed as accurate. Smit’s conclusion echoes one of Rush’s: that people approaching the same NDE data from different perspectives are prone to reach different conclusions and, ultimately, to be locked in impasse. In this regard, the editor is quite correct, there is an impasse perceived by the readers and some of the contributors to the JNDS. However, this is a point which names a problem—but not a solution to this problem. As this website, as well as the writings of others, point out, there are sound physiological and medical explanations for all NDE and OBE phenomena. Theories and new models in medical practice and physiology are welcomed by myself, and all scientists in general. However, the ideas and concepts proposed in this, and other articles by R. Smit and others in this journal, sometimes deviate so far from even very basic provable medical fact and physiology, that they cannot be called science. Instead, they are more appropriately termed expressions of a stunningly low level of ingenuous ignorance, which would be rejected by any scientifically competent impartial peer-review. Many authors contributing to the JNDS make what regular science would term “exceptional claims.” As Ms. Holden pointed out in her foreword, “exceptional claims require exceptional evidence.” However, when the exceptional evidence is contaminated with “exceptional nonsense”, then it is time to search for validation from independent sources. This is my suggestion—search for peer-review of controversial points outside the coterie of believers and expressed non-believers in the immaterial reality of the NDE and OBE. Most of the letter if R. Smit is a critique of my analysis of the well-known Pam Reynolds NDE. His statements make it very clear that he has very little understanding of the anesthetic procedure, the operative procedure, and the type of monitoring. Furthermore, report of the statements of Spetzler also raise troubling questions. I will not analyze the letter is extensor, because this would take too much time. Instead, I will analyze several key points of inaccuracy. His discussion partners made it clear to him [Woerlee] that, even if she had anesthetic awareness, she could not have heard those conversations, because modules had been inserted into her ears that, in one ear, emitted 100 decibel clicks at a speed of 11 per second while, in the other ear emitted white noise; the clicking white noise modules were exchanged every few minutes to avoid hearing damage from the clicks. Not only were those modules, which had been molded into place and then taped over, noise-4amping enough to exclude most of the external sounds, but the 100 decibel clicks would have been too overpowering and distracting for Reynolds to listen to sounds occurring in the room. Woerlee denied all that. He postulated that Pam would have simply ignored (as he called it, “neurally filtered out”) those horrible sounds. As a former sound technician, trained by Philips Electronic Industries, I made it clear to him that such “neurally filtering out” was sheer nonsense: Nobody can ignore such ghastly sounds as those clicks. But all to no avail: Woerlee went on believing that he was right. This is a truly fascinating as, it reveals a failure to factor several aspects of her experience into account, inconsistencies in his own reports, the fact Pam Reynolds was a musician, and the reality of “neural filtration”. I will discuss these points again which have also be exhaustively discussed HERE. Pam Reynolds was awake and aware while under general anesthesia, but unreactive, was calm and felt no pain. The fact she appeared unconscious, and did not respond does not mean she was unconscious (see discussion in Sanders-2012). Calm conscious awareness without feeling pain happens in 40% of anesthetic awareness cases (see paragraph 10.52 in the book Illusory Souls discussing a meta-analysis of prospective (NOT retrospective but PROSPECTIVE) studies of anesthetic awareness in 40,654 patients). 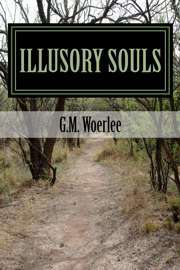 The fact that a person may be aware and aware while apparently unconscious under general anesthesia is a result of the action of the anesthetic drugs still active in the brains of such persons (see extensive discussions in several chapters of Illusory Souls. This fact is totally ignored by R. Smit, as well as others, in every discussion denying the ability of Pam Reynolds to hear the veridical sounds she reported during her experience. The clicking sounds prevented Pam Reynolds from hearing. A realistic simulation of the clicking sounds was published by myself, and tested by R. Smit and others, and reported by him in the JNDS (see report in: R. Smit, (2012), “Failed Test of the Possibility that Pam Reynolds Heard Normally During Her NDE”, Journal of Near-Death Studies, 30: 188-192). Smit and others could hear ambient sounds despite these clicking sounds. And then Smit proceeds to say it was impossible to hear these sounds. This reveals an interesting way to view personally acquired evidence to what he believes to be fact—first say it is possible, then deny it it is possible (see citations from his article HERE). Neural filtering is nonsense. Unfortunately for the expertise of R. Smit, neural-filtering and processing of sounds is well demonstrated (see discussion HERE, and is demonstrated by the cocktail-party syndrome, whereby people can clearly focus on the conversation of a person nearby despite being present a noisy environment. Pam Reynolds did the same—depite the ignored and unmentioned clicking sounds. This is neural-filtering. Pam Reynolds was a musician, and studies reveal that musicians are better able to distinguish meaningful sounds in noisy environments than non-musicians (see extensive discussion on THIS WEBSITE). All this reveals some of the inaccuracies, omissions, and ignorance proposed as scientific truth in this article. This brings us to a more troubling aspect of this letter. I find this part of the letter to the JNDS to be somewhat troubling, so I will cite it more extensively. Two participants on the forum where this discussion took place, then decided to take action. The first one, I, emailed Spetzler and asked him a straightforward question: Could Reynolds have experienced anesthetic awareness? He replied promptly: "She was under EEG burst suppression which is incompatible with anesthetic awareness." He signed "rfs" (Robert F Spetzler). EEG burst suppression means that she was effectively flatlined, that is, no detectable brain activity, as should be the case during an operation. If she were experiencing normal sensory awareness of sound or anything else, it presumably would have registered on the EEG-but Spetzler, who was on the scene, reported no EEG activity whatsoever. The second forum participant, who does not want his name to be revealed in this Journal, asked Spetzler whether Pam was flatlined during the famous exchange between Spetzler and the female vascular surgeon who wanted to access a vein in Pam's groin. (The female surgeon said, "Her veins are too small." Spetzler answered, "Try the other side." Following the surgery, Reynolds reported having heard this exchange during her near-death out-of-body experience while she was anesthetized, with the ear modules in place, etc.) To this question, Spetzler answered with an unequivocal: YES. Once again, if she had been hearing through normal physical means, not only would her hearing the conversation have registered on the EEG, but even more so the loud clicks and white noise would have registered-but Spetzler was emphatic that her EEG was consistently flat. How much clearer could Spetzler have been? We reported these exchanges with Spetzler to Woerlee. What was his response? We had asked the wrong questions. In the ensuing conversation, Woerlee insisted that Reynolds must have had AA [anesthetic awareness], no matter what Spetzler had said. These passages reveal that Smit not only makes statements about EEG signal processing revealing a total ignorance of this subject, but also attributes meanings to the surgeon concerned which may, or may not be out of context. Here is a discussion of these points. “ Once again, if she had been hearing through normal physical means, not only would her hearing the conversation have registered on the EEG, but even more so the loud clicks and white noise would have registered-but Spetzler was emphatic that her EEG was consistently flat.” This passage reveals a vast ignorance of the types of EEG monitoring, and what they would reveal. She was monitored by raw-EEG signals, BERA, as well as spectral edge. None of these would reveal the sounds of speech except as noise. Then a clear answer, but not the context. “ I, emailed Spetzler and asked him a straightforward question: Could Reynolds have experienced anesthetic awareness? He replied promptly: "She was under EEG burst suppression which is incompatible with anesthetic awareness." He signed "rfs" (Robert F Spetzler).” Spetzler is correct, anesthetic awareness is impossible during thiopental burst suppression as was applied during the clipping of the aneurysm. Smit and another who [understandably] does not want his name mentioned, omit to mention that EEG burst suppression was applied for only up to 2 hours of the 6 hours Pam Reynolds was under general anesthesia (see extensive discussion and references HERE). The suggestive implication of Smit is that it was applied for the whole procedure, but this is most definitely the case as is revealed by Spetzler’s publications before and after 1991. These publications reveal she was not under burst suppression during the times her heard the veridical sounds (see extensive discussion with references HERE). I find the statement of Spetzler together with the implicit suggestiveness of Smit very tendentious—the time periods should have been better specified! Then we come to my statement this was anesthetic awareness, no matter what Spetzler stated. This is a sad fact of anesthetic practice, and understood by all anesthesiologists. If a patient clearly demonstrates they were aware during general anesthesia, then that patient was awake and aware, no matter what the clinical, electronic, EEG, or other monitoring indicated (see extensive discussion in an international anesthetic journal HERE). As for unequivocal acceptance by all anesthesiologists regarding Woerlee’s ideas, this is not true. For example, Jean-Jacques Charbonier, a French anesthesiologist with 30 years of experience, wrote me a letter. He openly expressed beliefin a continuation of consciousness after physical death, and he based his stance on NDE and out-of-body experience research. He has written five books about the afterlife (most recently 2OI2). In an email to Guy Van der Linden, a prominent member of IANDS Flanders, Charbonier stated his rejection of Woerlee’s ideas about the Reynolds case. Smit is absolutely correct. Here we have an anesthesiologist with 30 years experience versus an anesthesiologist with only 37 years experience (the author, who has only written 3 scientific texts on anesthesia and pharmacokinetics of anesthetic drugs, as well as 3 books on NDEs, the last during 2013). It is understandable that such a person rejects my ideas, and therefore Smit is explicitly correct that not ALL anesthesiologists accept my ideas. However, it is nonsensical to write by implication that this is expert testimony proves my ideas incorrect—this “expert” opionion / testimony is self-invalidating by virtue of its explicitly stated biased nature. Impartial expert testimony requires study from a group independent of any association with Smit, IANDS, or myself. This is true “peer-review”. What Smit states by implication as independent expert opinion, is revealed to be no more than a personal opinion, supported by the opinion of a like-minded believer. My writings merely state the modern medical and physiological explanations for NDEs—and these explain this fascinating phenomenon very adequately. Smit, and many others, make extraordinary claims about the nature of the NDE and the Pam Reynolds case in particular. Accordingly, the burden of proof rests on these people. Ingenuous and ignorant nonsense such as revealed by this letter of Smit, does not constitute an explanation except in the minds of the willfully ignorant and ingenuous. This brings us to the point necessitating a discussion of how the Spetzler group regarded Pam Reynolds’ experience. How did Spetzler and his group respond to Pam Reynolds? 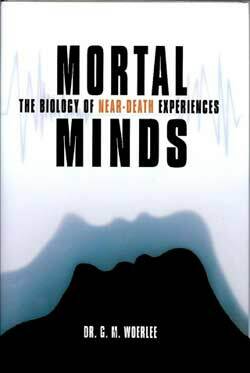 A fascinating question ignored by Smit, and many other ingenuous believers, is why the Spetzler group never published, or said a word about Pam Reynolds’ NDE experience until they were publically required to do so after Michael Sabom made this case famous during 1998, (7 years after the event), in his book “Light & Death”. The last interview of Pam Reynolds taken by Titus Rivas is very revealing, and provides and answer to this question. It clearly indicates why Spetzler did not publish this unusual case at the time. After awakening from anesthesia, Pam Reynolds told her family of her experience. They regarded it humorously, and laughed. (See this extract from Pam Reynolds last interview). Reading these passages, you realize immediately from the sentence: “They did not seem to find it funny and they hardly dared to look at me�” that her physicians simply suspected anesthetic awareness and were worried about possible medicolegal action. So took the best possible course of action in situations where medicolegal actions might be instituted—they were empathic and honest, and informed her that her veridical observations were real events made during a period of awareness (see advice to physicians how to deal with cases of anesthetic awareness HERE). Notice that Pam Reynolds reported that her physicians did not talk about wondrous paranormal explanations. They just stated her veridical observations were real. This explains why Spetzler and his group did not publish the case—they regarded her unusual experience as a case of anesthetic awareness. These are but some of the inaccuracies in this letter, but they clearly illustrate my point about a failure of unbiased expert peer-review in a journal claiming scientific standards. Finally, the last statement by Smit is rather more applicable to himself than to the author of this website. Indeed, the title of this article, a paraphrase of the title of Rudolf Smit's letter, is more applicable to Smit than to the person to whom it is addressed.